A thoughtful, unpretentious, mostly weekly conversation about the companies, ideas and products that are transforming our world. We look at what it is, why it matters and where it fits in the broader business of consumer technology. So, grab your favorite Blue Barn sandwich, put the Giants game on mute and join us. Hosted by Ryan Fretwell and Carlos Gomez. On this week’s show, Ryan and Carlos get right to it and discuss Google’s restructuring into Alphabet, self driving cars, Apple’s recent stock market woes, the death of Instacast and alternatives to replace it, pricing of applications on iOS and OS X, ad blocking, and their picks of the week. 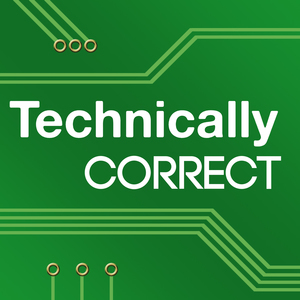 In a rapid fire edition of Technically Correct, Ryan and Carlos cover their largest variety of topics yet, including tech purchases they regret, iCloud for Windows, Newegg, the Amazon store card, whether or not to buy a standalone camera, a variety of Apple Watch items (using it in water, wearing it upside down, fitness tracking, and why it should have originally shipped with watchOS 2), the importance of Hunter Pence to the Giants, the latest Apple TV speculation, reasons for Netflix selling their content on physical media, Amazon shipping times, auto-play video ads, the Tesla Model X, Taylor Swift in concert, and Apple Car/BMW rumors. Brush up on your microeconomics, because this week Ryan and Carlos discuss marginal utility (of fancy dinners). Other topics includes follow-up from last week’s discussion on new payment standards, iPhone battery life, Ryan’s iPhone backup problem, updating system apps separately from OS updates, whether 4K is the successor to 1080P, the impermanence of media, and Windows 10. Your hosts also provide their picks of the week and latest podcast recommendations. Ryan and Carlos get philosophical and start this week’s show by talking about their aspirational goals. They then discuss Bill Simmons joining HBO, social media influence on SportsCenter, new 4” iPhone speculation, the future of the iPhone lineup, Apple’s and Microsoft’s latest financial results, smartphone sales vs. traditional computer sales, continued impressions of Apple Music, problematic Apple reviews, using Touch ID to secure individuals apps, and their picks of the week (Alphabear and Veep). On this week’s show, topics include Amazon’s anticlimactic Prime Day, Ryan’s experience with the iOS 9 pubic beta on iPad, the usefulness of public betas, being self-conscious when using Apple Pay, the transition to chip-and-pin credit cards, new iPods, Xfinity Stream, and the decline of iTunes. Ryan and Carlos also provide their picks of the week (Momentum for Chrome and Sodastream). After (unsuccessfully) trying to justify buying Retina iMacs, Ryan and Carlos discuss Ryan’s first week with his new car, the appeal of “new,” Amazon Prime day, Apple’s new third party accessory packaging standards, and the pros and cons of the iPhone 6 Plus. They also provide more thoughts on Apple Music and check-ins on their MacBook Pros and Carlos’s iPad Air 2. 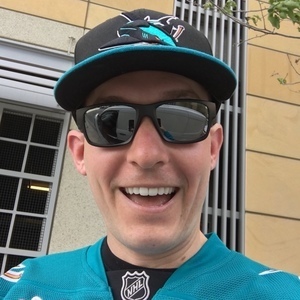 In a show dedicated to first impressions and hot takes (as Carlos would say), this week’s episode covers Apple Music, Carlos’s review of the Pizza Hut Hot Dog Bites Pizza, and Ryan’s new car. Other topics include Instagram, the iPhone turning 8 years old, and whether it makes sense to buy a standalone camera anymore. Now that Taylor Swift has saved Apple Music, what else should she fix in the Apple ecosystem? Ryan and Carlos discuss that and more, including the continuing decline of optical media, the future of movie theaters and new release movies, how big a role technology should play in a car buying decision, Windows 10 upgrade eligibility, iPad Pro and stylus rumors, improvement in the iOS upgrade process, and Fracture. It’s simple. After discussing LeBron James’s self-aggrandizing press conference and the Warriors winning the NBA title, Ryan and Carlos discuss Apple Music, using Reminders in iOS, various E3 topics (the Xbox One Elite Controller and backwards compatibility, Microsoft’s and Sony’s press conferences, how much graphical improvements matter in games, the Oculus Rift, and Hololens), the challenge with archiving and sharing podcasts, Ryan’s new car plans, and Samsung’s marketing campaign. 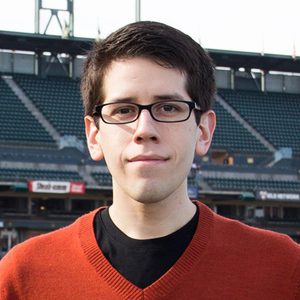 With WWDC less than a week away, Ryan and Carlos discuss the latest rumors. Other topics include their iOS 9 wish list, Apple Watch (defending positive reviews, the utility of third party apps, and the compelling nature of the activity tracker), SYNC 3 on the 2016 Ford Escape, whether the quality of digital music makes a difference, and how to get started with Omnifocus. This week’s show is big there isn’t any room for a witty summary. Topics include big egos in professional sports, kids at the podium after games, WWDC speculation, customization on iOS vs. Android, iPad software and hardware rumors, the demise of Gene Munster’s Apple TV, Marco Arment’s review of the new Macbook, Apple prioritizing thinness over functionality, iMessages on OS X, digital crown behavior on Apple Watch, updates to the 15” Macbook Pro and 5K iMac, picks and tips of the week, and the last episode of Mad Men. After talking about their favorite regional sports advertisers, ice cream flavors, and chip varieties, Ryan and Carlos discuss Bill Simmons leaving ESPN, Uber driver compensation, their impressions of Apple Watch after a week of use, and the rumored relaunch of Beats.